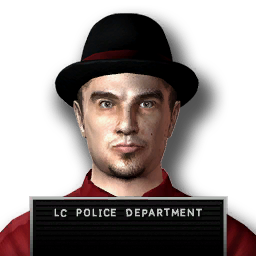 Darren Covey is, in 2008, a criminal in Liberty City who is wanted by the LCPD for arms dealing. He can be killed by Niko Bellic, depending on the player's choice. He is listed in the police computer as one of Algonquin's Most Wanted criminals, however, he is not listed in the internet police database. He has a striking resemblance to NoBigWillie from Love-Meet.net. He carries an AK-47 and will flee from Niko when all his men are dead. This page was last modified on 26 October 2013, at 14:17.